The zoo is getting a wild wombat all the way from Australia. In no time the most outrageous rumors are spreading about this unknown creature. More and more terrifying characteristics are attributed to him, so that it's no wonder all the animals hide on his arrival at the zoo. A memorable tale that teaches kids not to believe every bit of gossip they're told, Weigelt's The Wild Wombat is a witty, enigmatic story. The strong, colorful illustrations build the anticipation wonderfully and allow the fantasy to grow to monster-like dimensions! 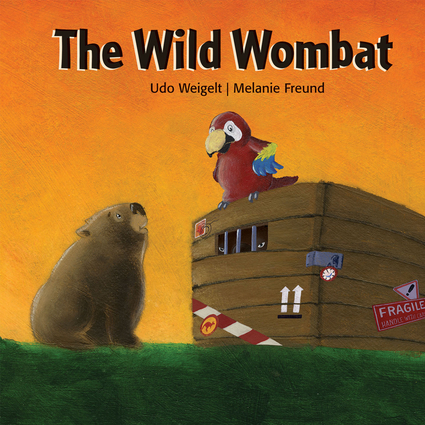 Udo Weigelt is the author of many children's picture books featuring animal protagonists. He has also written several titles about characters gleaned from legend.